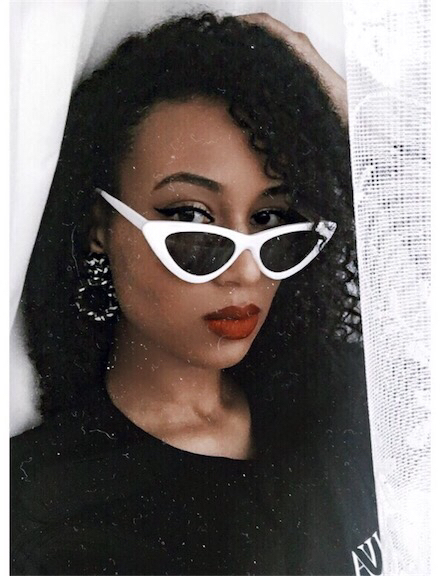 I'm back with another makeup post, and this time we're reviewing a product that has me S H O O K. It's the Fenty Beauty 'Stunna' Lip Paint, a classic red shade that promises to be universally complimentary. So far, everything I've bought from Fenty Beauty has impressed me - from the foundation, to the highlighter, to the gloss bomb - and this product was no exception. It claims to be a 'weightless, 12hr liquid lipstick with a soft matte finish'. Whilst I'm not sure about the 12hr wear (because does anyone really wear a red lipstick for that long? Because I sure as hell don't), it's definitely weightless, and dries to a very comfortable matte finish, particularly when compared to other liquid lipsticks that feel like they've sucked all moisture from your lips (ahem, Kat Von D - but I still love you!) It remains pretty comfortable throughout the day - I have dry lips so they're always slightly noticeable on me - but this one remains wearable and never too distracting. It doesn't need too much touching up, except if you eat (though I find this with all liquid lipsticks), so there should be minimal upkeep. Now, what struck me most about this liquid lippie is just how pigmented it is. Like, literally one swipe, and you have full coverage. This is a product that definitely does not need to be layered. The applicator is pretty unusual too - a variant of the classic doe foot applicator, but slightly smaller and slightly rounder. I didn't mind it at all, I think it probably did help with application, making it easier to be more precise in the corners and along the lines. The other thing I love about this red is that it doesn't make your teeth look yellow! Woop! You know there are some reds that just make your teeth look like sweetcorn and it's like, ew, no?! Well this must have a blueish undertone - I'd call it a 'snow white red' - as that's not at all the case here. Indeed, it actually makes your teeth look slightly whiter, which is always a nice bonus. Last thing to note is, I have no idea how, but it makes your lips look hugeeeee, more so than any other red lipstick I've tried. Usually a bright lip shade will have that effect, purely because it is drawing more attention to the area, but this one truly does make your lips look fuller and plumper, which was quite a nice surprise! I think this lipstick may have just made it into my top 3 favourite red lipsticks of all time! I know, that's a big statement! I'll do a blog post soon on my other favourites, but for now, I think I'll be wearing this on repeat! In true Fenty style, the packaging is sleek, the name is fun, and it delivers where it matters - on quality. Bravo, Rih, I grade you an A+. For £19.00, it's not cheap, but it's also not outrageous. If you've been searching for the perfect red liquid lipstick and have had no luck as of yet, then I'd definitely recommend giving this a try. Have any of you tried the Fenty Beauty 'Stunna' Lip Paint? What did you think of it? If not, what is your fave red liquid lippie? Let me know in the comments below!